I have been using SGP for a few years now and I am totally happy with the software. I use 3 different camera to image but unfortunately with the Starlight Xpress SXVR colour I cannot get the V shape. I have no problem whatsoever with the other 2 cameras. I have change the parameters, step size, data points, exposure time and it doesn’t matter I always seem to get the same result. 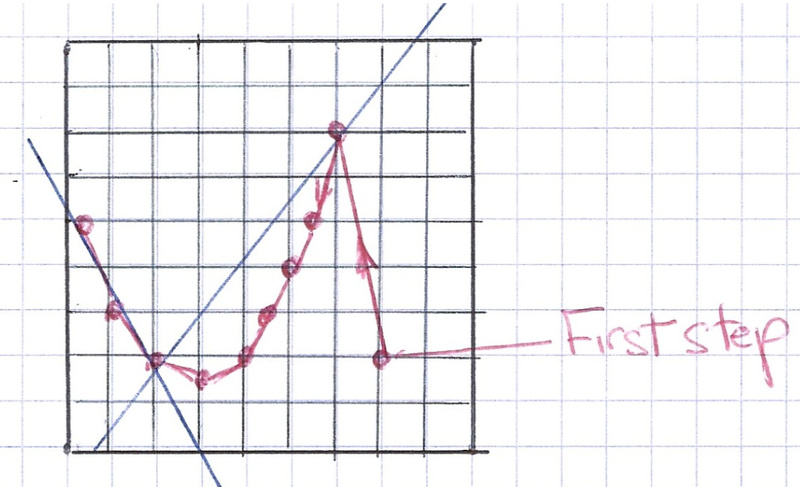 The first data point is down at 1 and the second data point shoots to 3 and after that I get a V curve. Unfortunately the end focus is not of the best. Can you please help as I have ran out of idea. This is an idea of what I get. I assume you are starting after manually focusing as best you can. SGP then attempts to move the focuser “out” several positions, but due to backlash it hasn’t really moved much at all (this would explain why the first data point is still basically in-focus. for the color camera, you should activate 2x2 binning (if not already done), to kill the influence of the Bayer-Matrix. 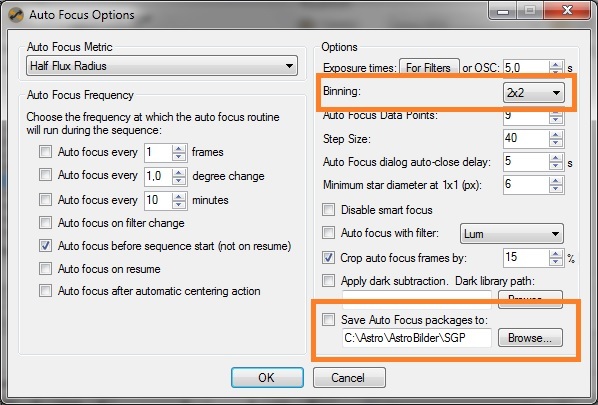 You may also want to generate an Autofocus Package and put it on a Dropbox or equivalent location, maybe together with the corresponding SGP log file, for the developers to have some food for thought. I have seen this many times before and it has always been caused by the first point being to far out of focus so it doesn’t detect the big stars, but instead hot pixels. If this is also the cause for you it should be easy to see if you follow each image during the autofocus. It’s easy to fix by lowering the step size. Backlash could of course also be an explanation, but it’s very unlikely that you got that much backlash.